Everybody who has sensitive skin needs to go that extra mile to keep their delicate skin safe! This could also mean that you can never be recommended of using wax strips or razors on your body. Women who have sensitive skin should opt for better alternatives for hair removal. In this article, we have listed the best products you can choose, when you have sensitive skin. This primarily focuses on underarms, because the process of hair removal in this zone is slightly more complicated. You don’t get to have a proper vision of how you go about it, and the creases in-between have to be cleaned gently. Products from the company of Nair have been created stressing on skin and hair removal. They have a wide range of hair removing creams, and this one, is specifically for sensitive skin. Their products are pretty anti-irritant and they are slightly expensive too. If you think your delicate skin should have a premium quality product, you can opt for this one. This cream has to be used like a regular depilatory cream and is makes the skin feel great after cleansing. This also comes with moisturizing properties which will leave your skin smooth. 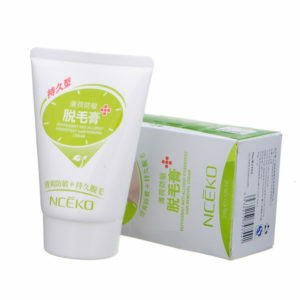 This is a special product which includes herbal extracts. This might help you calm the skin down and is absolutely non-allergic. This works within 10 minutes and reduces the growth of hair follicles than it was before. This cream can be applied on your hands and legs, apart from the underarms. This will also make your skin feel smoother and softer thereafter! This comes with a spatula so that you can cleanse hair out with ease! This product comes with an active mud extracted from the Dead Sea. This is intended to clean underarms and bikini line. This is a relaxing formula which soothes the delicate parts of your body and makes them clean simultaneously. The mineral mud is a rich ingredient which cleanses your skin and frees you from the dirty strands! 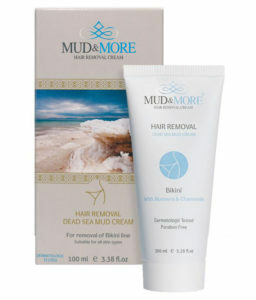 This is an effective hair removing cream which helps reduce the re-growth of the unwanted strands of hair. This is known to uproot the thickest of hair and then have it depilated for a long span of time. This comes with an aloe vera extract and makes your skin feel velvety smooth. It has the goodness of argan oil for moisture and nourishment. Have it applied on the body and don’t rub. Use the spatula for gradually cleansing the skin from the unwanted hair. The process ends with 10 minutes but the effect stays for around a day. You will feel your skin moisturized and supple! Veet has gained a good popularity to the Indian customers through commercials and reviews. This is comparatively a cheaper alternative to try and will not leave you dissatisfied. This comes with a special ‘Silk &amp; Fresh Technology’ which removes shortest possible hair and has been clinically tested to leave your skin moisturized for a dat. This means after you have removed the unwanted hair, you don’t have to don’t have to add another moisturizer till the following day. This product has been specially marked for sensitive skin and has been enriched with vitamin E for making the skin smoother! 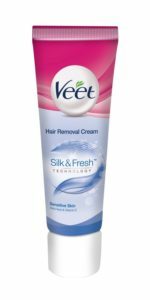 This is another product from Veet and it is known to remove hair gently and effectively. It leaves your skin moisturized with the goodness of essential oils and rose fragrances. This cream has been tested at dermatology and comes with their branded spatula. It is easy to follow with a proper instruction given inside. This cream will not let you have the bumps and will keep the skin smooth. It can be applied on all parts of your body where you need hair removal.